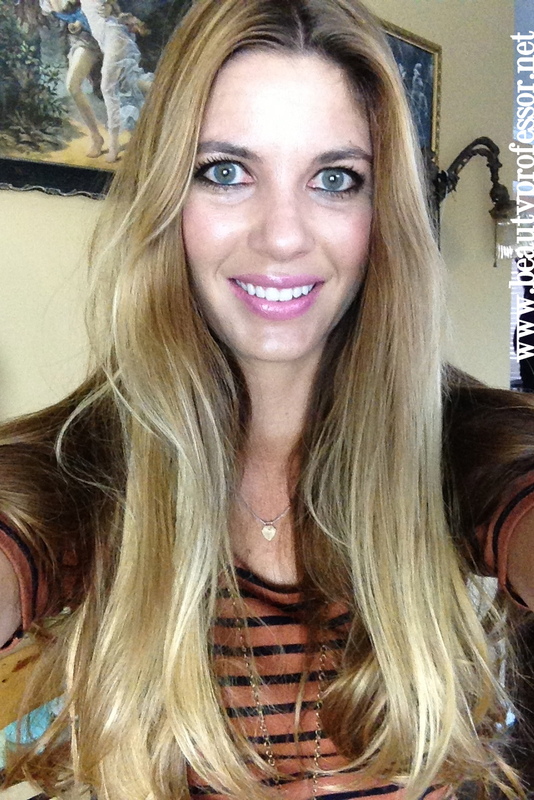 Beauty Professor: Cloud Nine: The O Ultimate Set...Video Demonstration and Review! 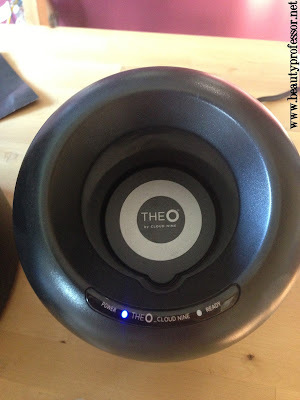 Cloud Nine: The O Ultimate Set...Video Demonstration and Review! Above: The hat box inspired carrying case for The O Ultimate Set...well-crafted, sturdy and protective! 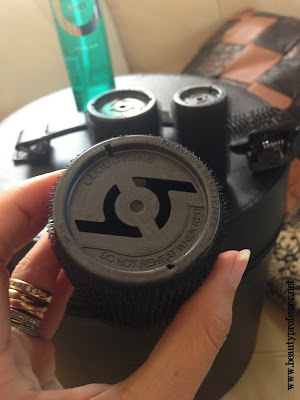 To further my adoration for this styling approach, I recently had the opportunity to try Cloud Nine's "The O" Ultimate Set and am thoroughly impressed by the cutting-edge efficacy of these velcro encased rollers. The novel heat induction technology allows each curler's core to rapidly heat up in the O Pod (fully demonstrated in real time in the video, embedded later on in this post! ), all the while remaining cool to the touch, thereby making application a veritable breeze. The mind reels! This set affords hot roller lovers everything necessary to quickly create full, voluminous curls that last the day...suddenly, my early morning madness became a little lovelier. Above: The case features a zipper top and upper netting to hold the O Clips. 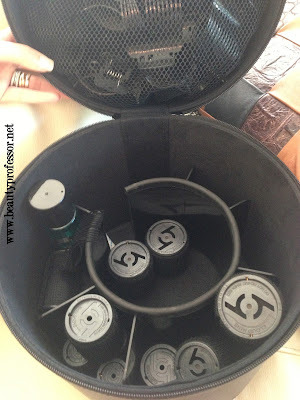 Above: The various compartments of the case allow all the curlers to be housed neatly and securely. Above: The heat indicator dot turns red when the curler has reached maximum heat. Above: The O Clips are large enough to anchor the longest, thickest hair in place. 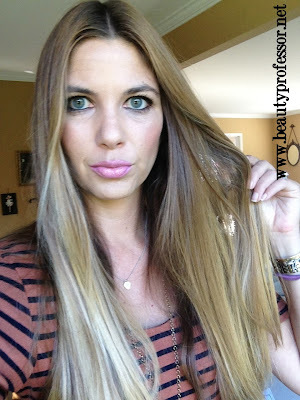 It's strong, but not so tight as to create dents on the outer hair...perfect! Above: The Amplify Spray can be misted onto dry hair prior to using the rollers to exponentially enhance volume and curl longevity. Above: The O Pod...this magical orb rapidly heats each curler without emitting any actual heat itself. Mind boggling! Above: My daily starting point...my hair couldn't be any straighter. If my hair can be curled, anyone's can! Above: Rollers securely nestled in the hair. Above: Silky, all over volume after 10 minutes of set time. Above: Medium curls after 15 minutes of set time. Above: Maximum curls after 20 minutes of set time. Bottom Line: The O Ultimate Set from Cloud Nine is exquisite...from the chic, all-inclusive hat box like carrier to the insanely innovative way in which each curler heats up in seconds while still remaining cool to the touch, this set makes curling one's hair a luxuriously speedy experience. Depending on the amount of time I leave the rollers to set, my hair goes from being stick straight to full and voluminous and even downright curly in minutes, all the while, staying free of heat damage. 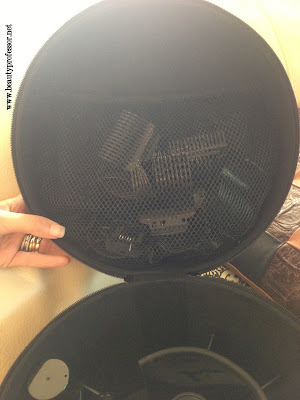 Highly recommended for the discriminating curler connoisseur! P.S. Please don't forget to RSVP for my Beauty Professor + Neiman Marcus beauty event at Neiman Marcus Fashion Island TOMORROW, Wednesday 9/18 from 11 AM-1 PM...all the details can be found HERE! These rollers are spectacular. I have had my set for about 8 months and love them. I have fine hair and the velcro really helps. Many other rollers don't stay in my hair but these do and the volume they give is divine. Haven't used the spray volumizer though as the first ingredient is alcohol and I find such sprays very drying. The third picture where you have left the rollers on for twenty minutes is stunning! Indeed, Cytaormina! Thank you for sharing your experience with them...I agree, they feel so secure once in the hair and the volume they impart is endless! Thanks for sharing your experience, Kara...you definitely don't want someone thinking that you straightened your hair when you went out of your way to curl it ; 0 A great reminder that products work differently on everyone! I hope you find your dream set soon...have you tried the Calista rollers? I've had an excellent experience with them as well! How's your week been? Good I hope. 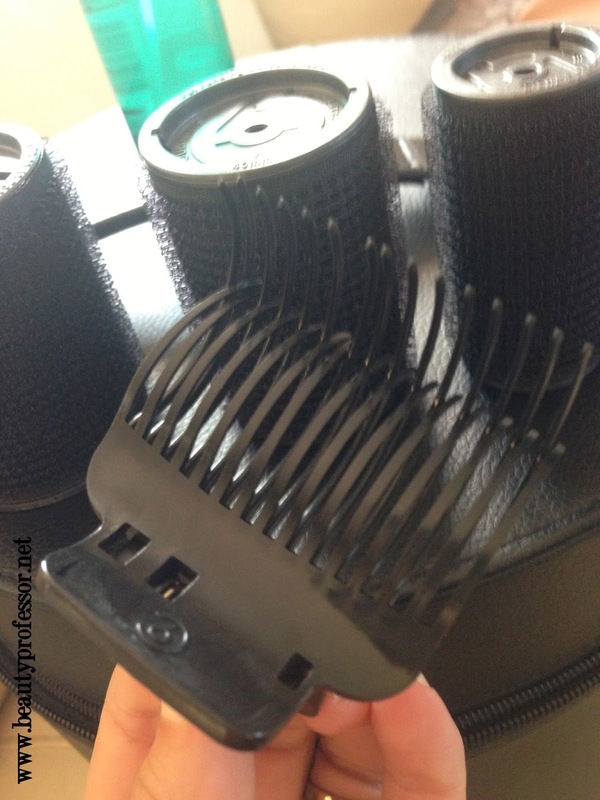 I have just bought the cloud 9 wide plate straightner and it is fantastic! So classy how they come presented in a lovely box and the adjustable heat setting is really helpful to. 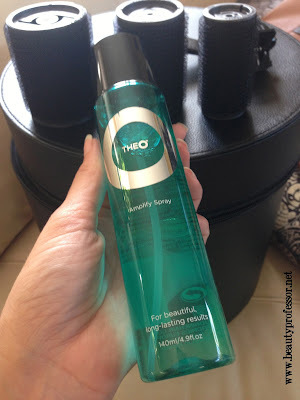 This has made your hair so bouncy and lush looking. I really like it. 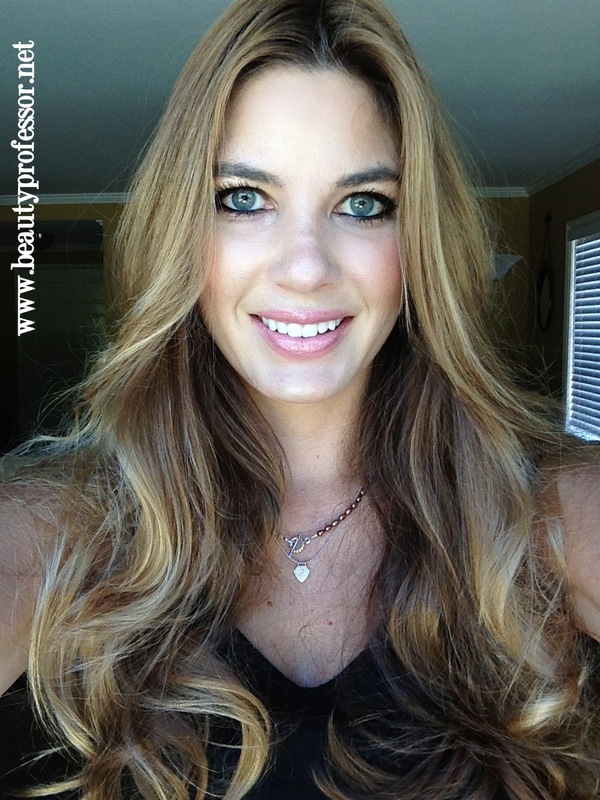 Your hair is so healthy and glossy what do you use on it? Great to hear from you! My week has been insane, but good ; ) How exciting that you have the Cloud Nine straightener...I've heard marvelous things about the other Cloud Nine tools and am glad to hear that you love it. 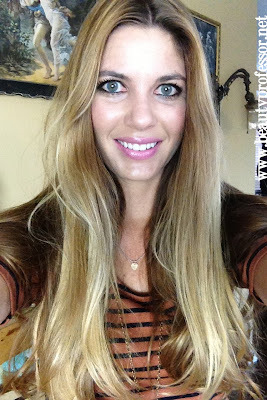 Thanks for your sweet words about my hair...I can really take very little credit for it in general...I come from a family of good hair genes ; ) That aside, I have a variety of shampoos on rotation but lately have been using the L'Oreal Everstrong Sulfate-Free shampoo and conditioner! Thanks...I'm honored by your assessment, especially in light of your venerable background! I love that you love the L'Oreal Everstrong, too...it is just as good as some of my more expensive options and I appreciate that it is sulfate free! I stumbled upon this post and this product sounds like a winner for my super straight hair! Can the pod heat two rollers at once? Thanks! Glad you found your way here! The pod can only heat one roller at at time, but it literally takes seconds for each roller so the process is still quite quick! Do you prefer the Ultimate O to Calista Rollers? Thanks for a well-written and informative Beauty Blog! Thanks for the sweet comment! In response to your question, I like both sets in for different reasons. The portability of the Calista rollers cannot be beat (thus, I take them with me when traveling); however, the luxurious, technologically-advanced process of the Cloud Nine is remarkable and I use this set often when I am at home. I hope that helps! In terms of results, how do the two compare? Happy to help! I find the results of both sets to be similar...when left in for 20 minutes, my long, straight, thick hair is full of soft curls that last the day. It just depends on if you want to work with hard plastic (the Calista) or a velcro roller (the Cloud Nine)! Do these rollers and the pod stay cool? I ask because I have a young child and am worried about using heat appliances for safety reasons. 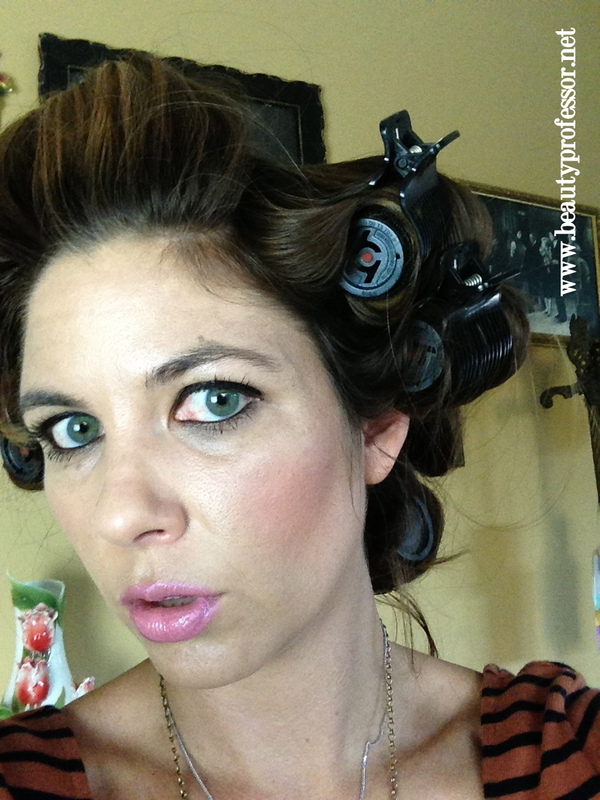 Also do you think these rollers would smooth hair like a blow out in curly frizzy hair? Yes, in my experience, both the pod and the rollers stay cool to the touch. The roller does heat up at the core (that's the only way that it can ultimately curl the hair) but it is cool on the outside where the velcro is. Additionally, I do think that these rollers would smooth curly or frizzy hair, especially if they weren't left in for a long time!